The Nova Scotia Healthy Forest Coalition is an alliance of organizations and individuals united to raise public awareness of the critical state of our forests and the need for fundamental reform of forest policy. Generations of mismanagement have depleted our soils and seriously compromised our forests’ capacity to regenerate. Current practices are making things worse at an alarming rate. Indigenous species are threatened. Habitats are disappearing and natural ecosystem functions destroyed. Our forest economy is collapsing. We must act before it is too late. We must change the way we manage our forests. We must set them on the road to recovery. Restoration won’t be easy, but, with your help, it can be done. Please help our forests become again a great ecological and economic asset. Thanks to all the organizations which support The Nova Scotia Healthy Forest Coalition, a steadily growing alliance of groups dedicated to changing how we manage our forests. Together, we can make a difference. Eastern Shore Forest Watch was founded in 1998 by a group of concerned citizens who support a vision of sustainable forest practices ESFW members include established Eastern Shore families and new residents, woodlot owners, foresters, business owners and professionals, teenagers and octogenarians, all deeply concerned about the health and future of our forests and wild lands. Nature Nova Scotia (Federation of Nova Scotia Naturalists) exists to aid communication and cooperation among naturalists and natural history societies. We also work at the provincial level toward protecting our natural environment in coordination with like-minded organizations active in preserving aspects of Nova Scotia’s natural heritage. St. Margaret's Bay Stewardship Association was established as a charitable, non-profit volunteer association in 2003. Inspired by the natural beauty of the Bay, our focus is to safeguard and enhance its unique quality of life. Since 1971, the Ecology Action Centre has been working at the local, regional, national and more recently, international level to build a healthier and more sustainable world. Since 1954, when the organization was formed by Martin Rudy Haase to protect a unique island in Maine, Friends of Nature Conservation Society has been dedicated to maintaining the balance of nature for the mutual benefit of people and their plant and animal friends. The Inverness County Chapter of the Council of Canadians is a committed group of volunteers acting for social and environmental justice on Cape Breton Island. The South Shore Chapter of the Council of Canadians is an active group of individuals committed to challenging and promoting local and global issues. 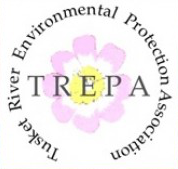 Tusket River Environmental Protection Association was founded with the immediate objectives of protecting the Tusket River and surrounding areas from environmental damage. Its longer term objectives are to respond to all environmental concerns having an impact on the Tri-county area, to educate the public to be environmentally conscious, and to expand membership and public support within the community. The Nova Scotia Bird Society is a registered charitable organization that promotes the study and conservation of wild birds in Nova Scotia. Since its establishment in 1955, the NSBS has grown to be the largest single natural history group in the province. We are a not-for-profit organization that is run entirely by volunteers conducting numerous public and free field trips and meetings to promote the awareness of birds. The Halifax Field Naturalist's (HFN) objectives are to encourage a greater appreciation and understanding of Nova Scotia’s natural history, both within the membership of HFN and in the public at large, and to represent the interests of naturalists by encouraging the conservation of Nova Scotia’s natural resources. Hike Nova Scotia is a nonprofit society that encourages and promotes a growing hiking culture throughout our great province. We strive to be the voice for those who hike, walk and snowshoe. With every step we’re building a community of outdoor adventure enthusiasts. We offer events, courses and programs to get people hiking. Hike NS engages in advocacy and policy development on hiking issues, striving to keep our great wilderness areas protected. The Nova Scotia Wild Flora Society is dedicated to the appreciation and conservation of wild flora and habitat, especially in Nova Scotia. A non-profit organization and an affiliate of the North American Native Plant Society, we welcome all people who are interested in native flora. Members meet regularly on a social basis to host speakers, plan recreational field trips, and organize other events.